On 28th October 2015, Mark Zuckerberg came to IIT Delhi for his first ever Townhall Q&A. Like any other person working in the digital scene, I was eager to hear what he had to say. 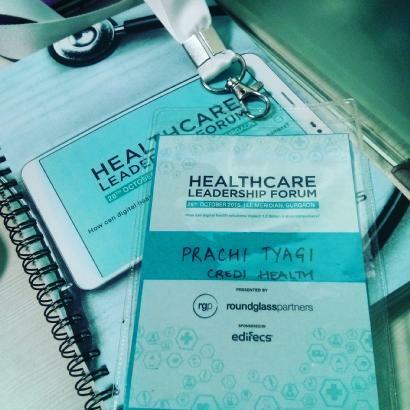 The same day I had the opportunity to attend a Healthcare Leadership Forum – RoundGlass Partners premier event at Le Meridian, Gurgaon. Here are a few noticeable pointers I’d like to share. 1. Having also previously heard Mark’s talk with Narendra Modi in California, I realize that his focus while delivering talks pertains to connecting the community.He seems to be on a constant pursue to finding more efficient ways to do the same. I reckon keeping that in mind, he had the titanium guts to introduce the internet to the world – again. According to Facebook, 15 million people have already benefited from internet.org (out of which 1 million are Indians). 2. It was obvious Net Neutrality was going to be in the picture somewhere. When questioned about how much Facebook supports the idea of Net Neutrality – Mark was put on the spot. I suspect he was expecting this controversial topic. In order to support what looked like a sincere belief in getting internet access to people who did not have any, Zuckerburg made a rather sharp statement “don’t get twisted & hurt those who don’t have a voice” to people who are already connected to the World Wide Web and are skeptical of internet.org’s motives. Answering a relatively more compound question, Zuckerburg expressed his views on startups as well. A person who believes in an idea, rather than building a company – is a person who is ready to create his own startup. Companies that happen to have more co-founders tend to last longer than those that have a founder – mostly because of resilience. 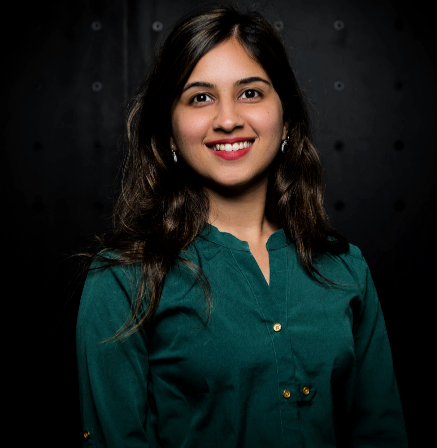 Recently established RoundGlass Partners mentor the disruptors of digital healthcare – and they plan to start here in India. While Founder Sunny Singhgave a glimpse into his life and what made him an entrepreneur, Pramod Bhasin, Founder of Genpact, elaborated how even though healthcare is the second largest industry in the world – it is still broken – catering to the needs of only 30% of the world’s population. He concluded by stating that innovation in India has happened already – but a need for a strong community to identify and solve problems remains. Both these events confirm the surge in global focus on the digital healthcare industry. If startups in India alone are able to come together and build a community to solve the health problems of 1.3 billion people, imagine the power this group would have to change the healthcare scenario of the world. We’re shopping online but when will we be selecting and buying customized healthcare needs? India’s healthcare industry will be in the focus for years to come thanks to the developing country’s ever-growing population and need for medical services in both rural and urban areas. India’s take on healthcare will be significant in deciding the fate of India as an emerging superpower. We entered the digital healthcare space involuntarily when the term health 2.0 was introduced in early 2000s. This was evidence enough that healthcare was predicted to join forces with the World Wide Web. Little did we know, fifteen years later there would be more ways than imagined to connect with potential patients. When it comes to marketing, the healthcare industry lags behind by at least two years, but that doesn’t stop it from being a trillion dollar industry. The Indian healthcare sector alone is estimated to touch $160 billion in 2017 – roughly double from what it was in 2012 (according to a report by Equentis Capitals) resulting in the CAGR growth rate of about 15%. From current trends, challenges and opportunities in the current healthcare scenario, catch a glimpse what the future in online healthcare holds in my guest post on iamWire. While there’s no looking down for the healthcare industry, digital healthcare is emerging as the hero. Here’s to thousands of patients finding the right diagnosis, treatment and preventive measures online – this very minute.